Isle tourism hit nearly 10M arrivals in 2018. Hawaii welcomed a record 9.9 million tourists in 2018, just 45,452 visitors shy of a 10 million benchmark that had been anticipated before head winds emerged in the back half of last year. Star-Advertiser. Hawaii saw nearly 10M visitors last year. That’s half a million more than in 2017. Hawaii News Now. The total number of visitors to Hawaii increased to nearly 10 million — and the amount they spent while here increased nearly 7 percent — in 2018 compared to the previous year, Hawaii Tourism Authority found in a report released Thursday. Pacific Business News. Hawaii visitors spend an average of $201 per day in 2018. 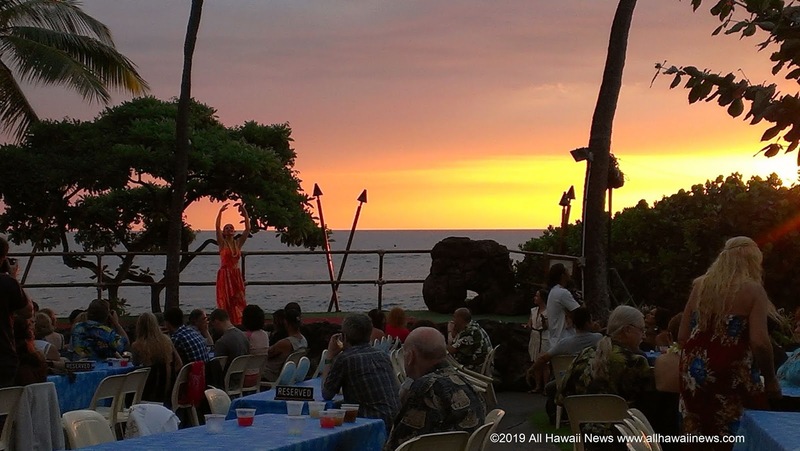 Visitors to the Hawaiian Islands spent $17.82 billion in 2018, an increase of 6.8 percent compared to 2017, according to preliminary year-end statistics released today by the Hawaii Tourism Authority. KHON2. Airbnb criticizes Hawaii attempt to subpoena host records. Airbnb is pushing back against Hawaii’s attempt to find tax delinquents by subpoenaing 10 years’ worth of invoices, receipts and other records from the home-sharing platform’s island hosts, calling it an unprecedented, “massive intrusion” that violates state and federal law. Associated Press. County Mayors Brief House/Senate Finance Committee Members. All four county mayors support the Governor’s plan to remove the Transient Accommodations Tax restriction, which is currently capped at $103-million for the counties and provide them with a 23.1% share. Hawaii Public Radio. The county mayors told state lawmakers Thursday that emergency funding for the Kilauea eruption and the Kauai flooding are among their top priorities this legislative session. Hawaii News Now. Hawaii lawmakers advance bills to adopt $15 minimum wage. House and Senate lawmakers advanced bills Thursday that would increase the state’s minimum wage to $15 an hour for many workers in the years ahead and also would offer a tax credit to small businesses to try to cushion the impact of the wage increases on businesses. Star-Advertiser. The first bill to raise the minimum wage in Hawaii made it through its first hearing with lawmakers Thursday. KITV. Almost Half The Senate Signs On To Bill To Legalize Recreational Marijuana. The prospects are promising for the measure in the 25-member Senate, but Gov. David Ige opposes legalization. Civil Beat. Ban on cigarette sales proposed for Hawaii. Adults younger than age 30 could be legally prohibited from buying cigarettes in less than a year's time -- and all cigarette sales would be banned in Hawaii in five years -- under a bill by State Representative Richard Creagan. KHON2. Lawmakers call for tougher laws in wake of Kakaako crash. State legislative leaders from the House and Senate, galvanized by the recent crash in Kakaako that killed three pedestrians, gathered Thursday morning at the state Capitol to call for tougher laws to address a growing number of drunken and impaired drivers in Hawaii. Star-Advertiser. In wake of horrific crash, lawmakers look to strengthen DUI laws. Hawaii News Now. Regents reject UH president’s plan to cut tuition. The University of Hawaii Board of Regents Thursday turned away the UH president’s proposal to reduce tuition across the statewide system. Hawaii News Now. Correctional reform bills to be heard Friday. Two legislative measures introduced as a result of the report of the Task Force on Prison Reform will be heard on February 1 by the House Committee on Public Safety, Veterans and Military Affairs. KHON2. High Turnover In Gabbard’s Office Preceded ‘Tulsi 2020’ Problems. The Hawaii congresswoman has had a hard time holding on to staff, so much so that her turnover rate has been among the highest in all of Congress. Civil Beat. Developer breaks ground on first of at least 5 high-rises near Ala Moana. Construction on the first of at least five condominium towers in the Ala Moana area kicked off Thursday with rain and a blessing from Hawaiian musician and priest Aaron Mahi. Star-Advertiser. Aloha Stadium’s board seeks $30M to battle damage. With approximately 200 weathered steel components and 85 decking panels “exhibiting severe corrosion,” according to a new study, Aloha Stadium will require “at minimum” $30 million from the Legislature over the next two years to remain safe and operable, the Stadium Authority said Thursday. Star-Advertiser. Aloha Stadium needs $30 million in repairs to keep going. KHON2. HPD misconduct report reveals multiple officers found driving under the influence of alcohol. The Honolulu Police Department has released a new report outlining misconduct within the department. KHON2. City moving to bring feral cat population under control. The city is moving aggressively to keep in check the population of feral cats that roam alleys, empty lots and other hidden corners of Oahu. KHON2. How Many More Cars Can We Cram On Oahu? Since 1995, the growth in registered vehicles on Oahu has far outpaced the population increase — making any attempt to keep up with new roads futile. Civil Beat. Kim seeks GET flexibility. Mayor Harry Kim asked state lawmakers in Honolulu on Thursday to grant more flexibility in how counties can use their general excise tax surcharge. Tribune-Herald. VIDEO: Mayor Harry Kim At The Capitol. Big Island Video News. County releases draft vacation rental rules. The county Planning Department wants to hear from the public about its proposed rules regulating the rentals on the island. West Hawaii Today. The number of visitors to the Big Island in 2018 dropped from the previous year, while visitor spending remained flat in the wake of the Kilauea eruption. Tribune-Herald. An effort to continue astronomy on the summit of Mauna Kea for the next several decades, and how that effort might affect the Thirty Meter Telescope project, was discussed at the State Legislature recently. Big Island Video News. Residents of Kona Vistas, nearby subdivisions meet with mayor about proposed development. West Hawaii Today. Council panel votes down mayor’s prosecutor pick. A Maui County Council committee late Wednesday night voted, 5-4, to recommend rejecting Mayor Michael Victorino’s appointment of John D. Kim as prosecuting attorney. Maui News. Joint Training with Hawaii National Guard. The Maui Police Department, Fire Department and Emergency Management Agency joined the Hawaii National Guard and other agencies for a full-scale training exercise Thursday near the Kahului Airport. Maui Now. Plans for Maui agricultural lands reviewed by Mayor. Maui County Mayor Michael Victorino reviewed Mahi Pono’s conceptual plans Wednesday for agricultural development on 41,000 acres formerly used for sugar cane cultivation in Central Maui. KHON2. A pre-opening of the 39-unit Hale Mahaolu Ewalu Phase I affordable senior rental housing project and groundbreaking for the 22-unit Phase II were held Wednesday morning in Pukalani. Maui News. Black ice but no snow atop of Haleakala. Black ice shut down the summit of Haleakala for a few hours on Tuesday as chilly conditions swept across the islands, though forecasters did not expect snow at the summit anytime soon. Maui News. Proposal For New Dairy On Kauai Dropped After 5-Year Effort. Hawaii Dairy Farms was thwarted by regulatory obstacles, lawsuits and community opposition. Civil Beat. Ulupono Initiative scraps plan for dairy farm on Kauai. Socially minded investment firm Ulupono Initiative has abandoned an 8-year effort to establish a dairy on Kauai that aimed to be the state’s biggest local milk source. Star-Advertiser. Hawaii Dairy Farms announced Thursday it was discontinuing plans for a pasture-based dairy farm on Kauai. Garden Island. Tourism reaches new heights. According to the Hawaii Tourism Authority, Kauai had 118,873 visitors in December, bringing the total for the year to 1.38 million, the most ever for this small island, and a 7.6 percent increase over 2017. Garden Island.